We all are created for a purpose. Read about who we are and why we exist. Jesus told us what is most important: “Love the Lord your God with all your heart and with all your soul and with all your mind and with all your strength.” Here at Bear Creek, we want God to get all the attention. He created the world; He gives us life; He sent Jesus to save us from ourselves. We want to love him by worshipping him with our entire lives. Jesus told us what is the second most important command: “Love your neighbor as yourself” (Mark 12:31). Oddly enough, much religion these days ends up being about me. But Jesus says that if we are going to follow Him, our lives are going to have to be about loving others. We don't want to be known for having the most beautiful building, the best programs, or the most creative worship experiences. We want to be known in our community for the quality of our character and our love for others. Jesus said “The Spirit of the Lord is on me, because he has anointed me to proclaim good news to the poor. He has sent me to proclaim freedom for the prisoners and recovery of sight for the blind, to set the oppressed free, to proclaim the year of the Lord’s favor.” Jesus came to change the world! Throughout his life, he eased the pain and suffering people experienced because of this fallen world. He then died on the cross so that sin and death, life's ultimate destroyer, would be conquered once and for all. Bear Creek was started for this very reason – to change the world. Instead of complaining about all the problems in the world, we want to try and help solve some of those problems – be they spiritual, physical, social, or societal. We want to change the world in the name of Jesus! Will you join us? to be actively engaged in our world. … of ordinary people, totally sold out to Jesus & his mission in our world. … communicating the Gospel by our actions & attitudes. … known in the community for Christ-like character & compassionate acts. … where the hurting and confused can find love, hope, & encouragement. found, the depressed encouraged, the sick healed, the poor empowered & those in despair with hope. … where people uncover their God-given potential & live life to its fullest. … with people of all different kinds of colors & cultures. … where the rich sit with the poor & the old with the young. … providing financial planning, support groups, recovery groups, counseling, prayer, children’s outreach, & more. … where people are willing to live on less so that others can have more. … standing up for justice for oppressed people around the world. … actively engaged in alleviating spiritual & physical global poverty. Small groups are a great way to get connected and care for one another. Aaron is married to Kerry and they have 4 children: Branden, Jaxon, Elly, and Carsen. 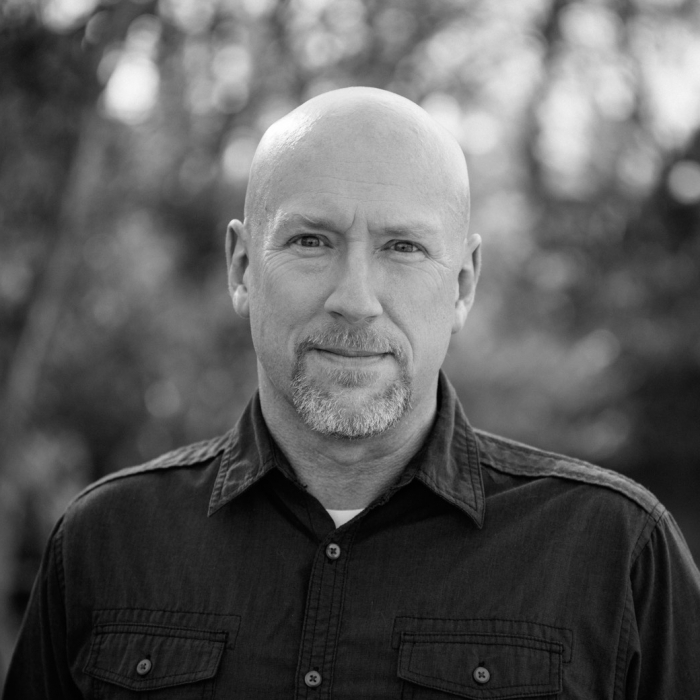 Pastoring for 25 years, Aaron has served in a variety of churches and church settings. He is passionate about creating a safe, welcoming environment for people who are seeking the Lord. He loves teaching in a practical way so that everyone can understand the life-changing truths of the Bible. Aaron enjoys reading, following Minnesota sports, running and playing softball. Jeff is married to Kristi and they have 3 girls, Aria, Samara, Anya and a little guy, Isaiah. 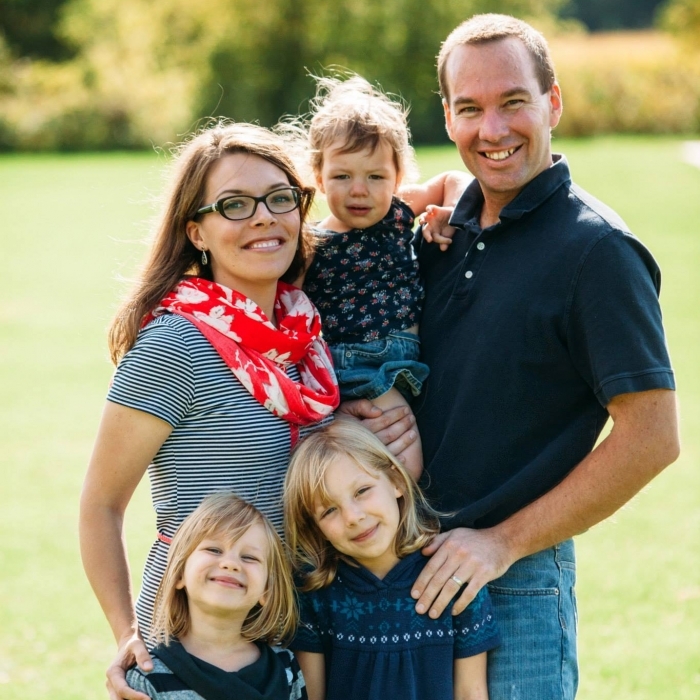 Over the past 20 years, Jeff has worked for Camp Victory Ministries and The Salvation Army (Rochester, MN). His role at Bear Creek is to engage the community in projects to serve those most in need in our city. His hope is that as Bear Creek members reach the community, other area churches will be inspired to reach their neighbors holistically (physical needs, spiritual values, and social challenges). When Jeff is not finding ways to fix old mobile homes, he enjoys spending time with his family and neighborhood kids, as well as traveling just about anywhere. We launched Bear Creek Christian Church in the fall of 2009 with a very specific vision for impacting Southeast Rochester with the hope of Jesus Christ. The first and most important reason came from an experience I had while praying. I had just completed an 8½ year ministry with a church and I decided to take some time to think about what the Lord wanted my wife Kerry and I to do in the future. So I decided to spend at least 40 days (a good biblical number) seeking the Lord’s will for our lives and ministry. Before we made any decisions, I wanted to make sure that I prayed and studied the Bible for an hour a day, for at least 40 days, seeking the Lord’s will. So I began this quest. As I read the Bible and prayed, I wrote down any thought or insight that I would have in a journal. When I reached my 40th day of prayer, I still did not have a clear idea of what God wanted us to do. So I decided to keep praying and seeking the Lord. However, on day 42 (a Saturday morning), the Lord showed me something during my prayer time. As I was praying, I suddenly saw very clearly in my mind a rundown gas station with a broken sign swinging in the wind in a rundown neighborhood. Everything was in black and white and looked like an old, dry, dusty ghost town. All of a sudden, a cool breeze began to blow from right to left (I could sense its’ coolness and freshness) and color began to appear everywhere. The grass and trees turned green, the sky became blue, and the places that were rundown came to life. The view I had expanded out more broadly, and I could see people coming out of businesses and interacting on the streets, laughing and smiling. It gave me a sense that this community was thriving. I looked to my left and noticed children and families playing in the park where it was now safe to play. In the corner of my eye, I saw some movement, and turned to look to my left. Down the street, I saw a Hispanic woman standing on the steps by her front door smiling and waving at me. She seemed so happy to be in her home. What I was seeing was a neighborhood coming to life! That was it. I sat there for a moment, wondering what had just happen. After a few minutes, I went inside to share with my wife what I experienced. Expecting her to call a psychiatrist, she surprised me by saying that she had been having similar impressions in her spirit that whatever we did, we should do something for the poor and less fortunate. She has always been nervous about church planting because of the lack of financial security and the amount of time that it takes, but this time she said that she had a deep sense of peace about this. We talked and really felt like this was what the Lord wanted us to do. We also have a heart for young adults, especially those who are just starting their careers and families. These young adults have grown up in a very confused culture and they are desperately trying to figure out where they fit in. They’re tired of broken marriages because that is what they experienced with their parents; they’re tired of consumerism because no matter what the ads say, it still doesn’t fulfill; they’re tired of politics because neither side wants to work with the other side to solve problems; they’re confused about morals because they were taught that there really is no right and wrong, yet deep down they sense something; they’re concerned about taking care of the planet and overcoming our addiction to consumption; and they have been disappointed with religion, especially the Christian faith, because when they see some people who go to church, they notice that it has not affected their lives once they are out of church. Why would they want to spend two hours a week at church if it doesn’t really make a difference in a person’s life? It makes my heart break because I know that Jesus is the answer, but they need people who are genuinely following Jesus to show them who He is and what He is like. I emphasize “show them” because it doesn’t matter what we say, the only way that they will take the time to listen is if they see Jesus in us. They want to see how it affects our attitudes and our actions; they want to see people that not only talk about unconditional love, but actually practice it; they want to see Christ- followers that are less judgmental and more grace-giving; they want to see Christians get out of their fortresses and care for the poor and poorly; they want to see Christ-followers do something to help children with tough family conditions find a better way of life; they want to see Christ-followers who help those with hurts, hang-ups and habits find hope; they want to see Christ-followers stand up for justice in the world and do something to take care of the planet; they simply want to see people who genuinely follow Jesus. We believe that when a church loves and lives like Jesus and focuses on ministering to the poor and poorly, this is attractive to young adults who are seeking to live for something real and beyond their own personal lives. This is our story and we thank you for taking the time to read through it. Every person on the planet is trying to figure out what this life is all about. We have discovered the answer in Jesus Christ and we want to show and share Him with you! We realize that people are at difference places and stages when it comes to spiritual things. In fact, you may be far from God right now. We are trying to create an atmosphere where no matter where you are in life you will be able to explore and experience the truth and grace of Jesus at your own pace in a safe and loving environment. Now I do have to warn you—once you genuinely meet Jesus you are never the same again!